In 1975, David Bowie supposedly “got soul” and “reinvented himself” for the third time in as many years. I was never really convinced by the soul thing. Yes, the glam rock guitars had gone and the outlandish costumes too. In came double breasted suits, like something The Four Tops would wear on stage. Musically it was backing singers, funky guitars, muffled drums, congas and a throbbing bass. Whatever it was, though, it was certainly not pure soul, in my opinion. It was a kind of slowed down soully rock, sung with a higher pitched white man’s voice too. Quite what the “Soul Train” TV show aficionados made of this coked-up white dude is anybody's guess. It was not The O’Jays, Billy Paul or The Meters. What it gave us, though, was one of Bowie’s finest ever tracks in the lyrically, musically and atmospherically remarkable title track. Five minutes of pure magic. Still my favourite ever Bowie track. I never tire of hearing it, even after all these years. The next three tracks, the one-word titled “Win”, “Right” and “Fascination” are all excellent - rhythmic and hypnotic. They sort of wash over you and they sure washed the red dye out of all those Ziggy fans’ hair. Ziggy seemed thirty years ago as opposed to just three. That's how quickly things were changing. The difference between this and even “”Diamond Dogs” is seismic. This is an adult album. The old “side two” sees the quality fall just a little with the rambling “Somebody Up There Likes Me” and the ill-conceived Beatles cover “Across The Universe” (surely the album would have been better served by one or two of the tracks that were not used, such as “After Today”, “Who Can I Be Now” or “It’s Gonna Be Me”). 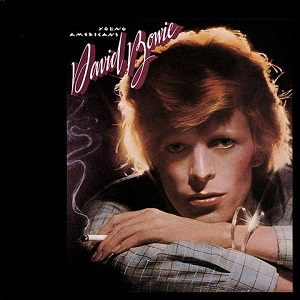 The last two tracks are corkers, the truly soully “Can You Hear Me” and the riff-driven “Fame” (which was later to be sampled on James Brown’s “Hot”) which is the album’s true slice of funk.“Young Americans” is often not mentioned in people’s Bowie favourites lists, but I find myself returning to it again and again. Whether or not it IS soul is debatable but it certainly HAS soul. 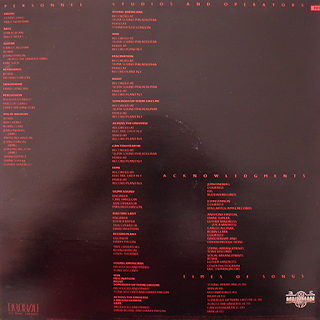 ** Regarding the various remasters around - the EMI/RYKO has the bonus tracks “It’s Gonna Be Me”, “Who Can I Be Now”, and the discoed up “John, I’m Only Dancing (Again)” but it has a bit if a lo-fi, muffled sound, in my opinion. The 30th anniversary remasters are excellent but hard to get hold of these days.